For years, Jennifer Kelly’s left arm was in such constant pain, she couldn’t even wear long-sleeve shirts. A lesion on her arm kept her from sleeping through the night and participating in any rigorous activity. Kelly was taking nine different medications to manage the pain, including three medications for high blood-pressure stemming from chronic-pain-induced anxiety. Three years ago, she had surgery to implant a stimulator in her neck that would help with the pain, but it didn’t work, and it eventually started causing neck pain. Then last August, she started taking medical marijuana as a way to manage her chronic pain. She takes one pill before going to sleep each night and timely doses of a tincture when she has flare-ups. She says the medication has transformed her quality of life. Kelly didn’t realize it, but she is a beneficiary of Pennsylvania expanding the qualifying conditions of its medical-marijuana program. When the law was first passed and medical cannabis became available in February 2018, patients suffering from chronic pain could only qualify for medical marijuana if the pain had neuropathic origins or for instances where therapy and opiate treatment had proven ineffective. Initially, 17 conditions qualified patients to receive a medical marijuana card. But in April of 2018, the commonwealth’s medical-cannabis advisory board recommended changing the definition to include “chronic pain,” opening up the door for patients like Kelly. Secretary of Health Dr. Rachel Levine signed off on the change and added opioid-use disorders, terminal illness, and spastic movement disorders, as well as Alzheimer’s and other neurodegenerative diseases to the qualifying conditions. Kelly feels blessed the commonwealth accommodated patients like her who suffer from broadly defined chronic pain. Unfortunately, the relief Kelly saw from expanding the conditions might not come to other Pennsylvanians hoping to become medical marijuana patients. The advisory board was given a temporary lifespan and has recently lost some of its power. Two other qualifying conditions, anxiety and Tourette syndrome, are waiting for Levine’s final approval. 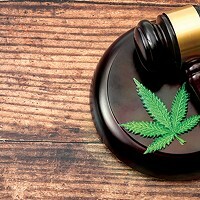 But all other changes to the law likely have to be legislated, meaning expanding the list of qualifying conditions has to pass through a Republican-controlled legislature that was reluctant to support the medical-marijuana law the first time around. So, while there are likely thousands of potential new patients eager to gain access to the state’s medical cannabis, it looks like they might have to wait years or longer for that legal relief. In February, the medical-marijuana advisory board recommended adding anxiety and Tourette syndrome to the list of 21 qualifying conditions for access to medical marijuana in Pennsylvania. This could grow the program significantly, as about 20 percent of Americans suffer from an anxiety disorder, according to Anxiety and Depression Association of America. "I'm currently reviewing the literature and talking to other experts from around the country in order to help inform my decision," Levine said to WESA earlier this month. "We want to have medical marijuana available to patients with serious conditions for which there's medical evidence that would support its use." 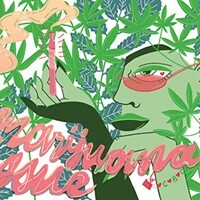 Patrick Nightingale of the marijuana-advocacy group Pittsburgh NORML supports adding anxiety and Tourette syndrome to the list of qualifying conditions, which he believes are not only necessary to treat people in need, but also to support the program’s viability moving forward. After the medical-marijuana law was signed in 2017, the advisory board was created as a way to fix any quirks in the law. The board is made up of 15 members like Levine, the state Physician General, the state police commissioner, and others. The governor and state legislative leaders appoint citizen members to serve on the board. It was meant to be temporary, and the advisory board still has three scheduled meetings that will run through November, according to the health department’s website. But Nightingale isn’t hopeful the board will take up many more recommendations to add more qualifying conditions. In February, the board rejected insomnia, irritable bowel syndrome (IBS), and Addison’s disease, a disorder in which adrenal glands don’t produce adequate hormones. The board can look at those conditions again if resubmitted. Applications must include opinions of qualified physicians and documentation to support those opinions. 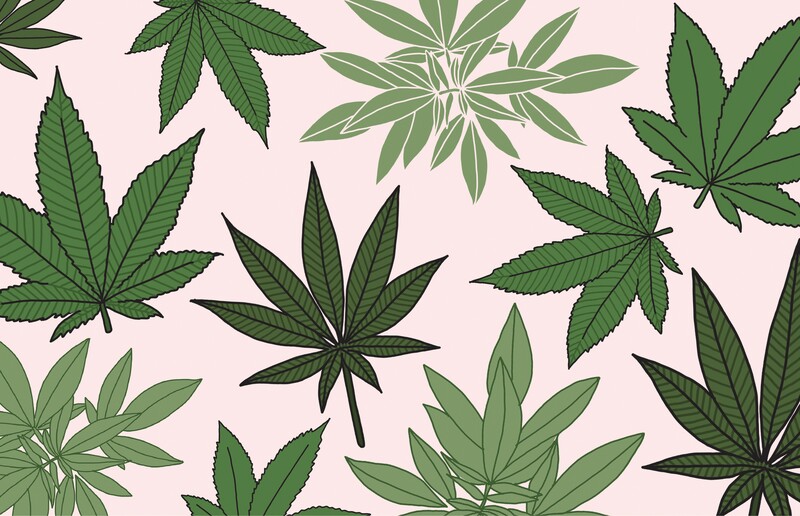 Medical-marijuana programs in other states have included conditions like depression, severe nausea, and cachexia, also known as wasting disease. Nightingale says adding conditions like these could be important in maintaining Pennsylvania’s medical-marijuana program and lowering the prices for medication by increasing the supply of patients. Nightingale says one of the reasons it hasn’t been easier to add qualifying conditions to the state’s program is because the bill was watered down prior to its passage in 2016. Both the state House and Senate were controlled by Republicans in 2016, and many of the party’s members were reluctant to embrace the medical-marijuana bill. Republican state Sen. Mike Folmer of Lebanon County was and still is a champion of the medical-marijuana bill. Nightingale worked with Folmer, who urged some compromise as a way to ensure the bill would pass, so patients could get relief. Nightingale says more qualifying conditions would most likely come from new legislation and/or amending current legislation, and Folmer would likely be the driving force of such changes. Folmer’s chief of staff Fred Sembach says Folmer initially proposed including 50 conditions eligible for medical marijuana treatment, and he was worried the advisory was not given enough teeth when first created. Sembach says adding more qualifying conditions will take reopening the bill, and Folmer is reluctant to do that before other changes are complete. Sembach says Folmer wants to update the Pennsylvania Motor Vehicle code to include provisions about driving while under the influence of marijuana, as well as seeing dispensaries and growers expand before tackling additional qualifying conditions. Folmer also wants the research portion of the law to be ironed out, which has hit a few snags because it was challenged in court. While there might be hope for patients suffering from anxiety and Tourette syndrome, since those conditions have already been recommended by the advisory board, Sembach says other changes to the medical marijuana statutes will likely need to go through the legislative process, which is currently run by Republicans. House Speaker Mike Turzai (R-Marshall) is still opposed to medical marijuana in Pennsylvania. Kelly says she hopes something can be accomplished more quickly for patients waiting for medical cannabis but are not currently qualified. She said she suffered from anxiety as a result of her chronic pain, since she was always anxious something might brush against her arm and aggravate her lesions. 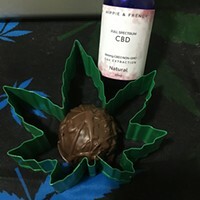 In a way, Kelly sees her new medical-cannabis treatment as healing her anxiety, and she wants to see more Pennsylvanian’s benefit from a similar process.